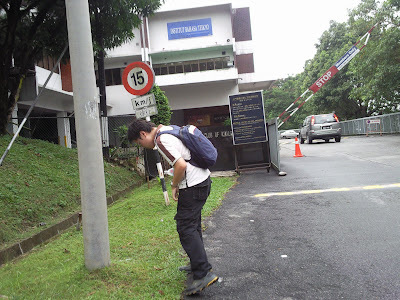 Outside of the Japan Club Kuala Lumpur, well I think the security don like to be in photo. 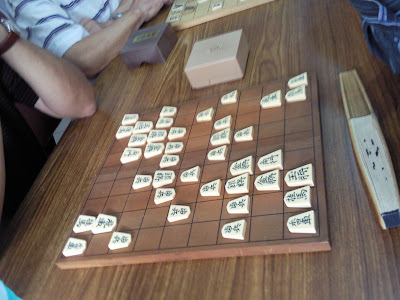 Good quality of shogi pieces, half elephant trunk made. 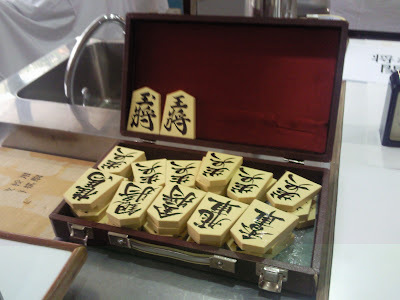 Special kind of shogi word art. 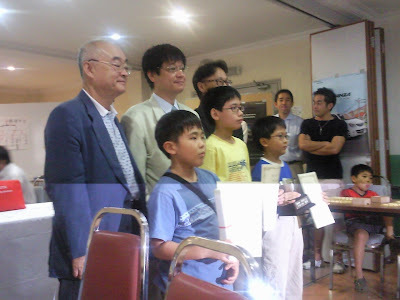 Winner of the kid chess competition, 2 kids that wear glasses is brother. 1st and 2nd in the competition. 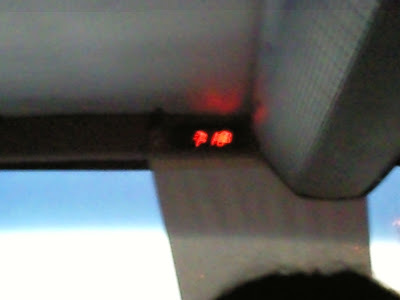 In the whole event, there are only 8 Malaysian people. 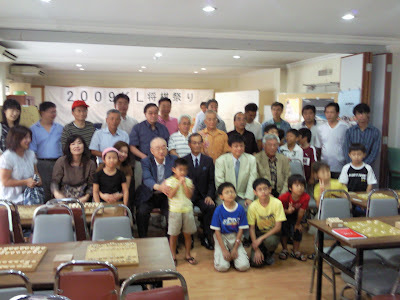 That is Ryou Takehito and his friend, Mr. Yeoh and his family, me and my friend. 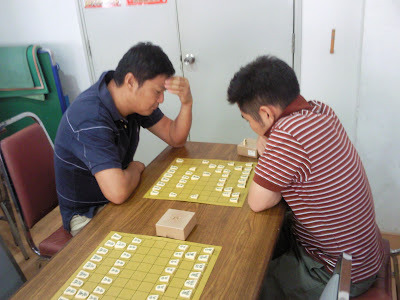 Mr. Kenji Kobayashi play with 16 peoples in a row and all the game is finish in one hour, he only lose to 4 of them, and all the game is handicap game. 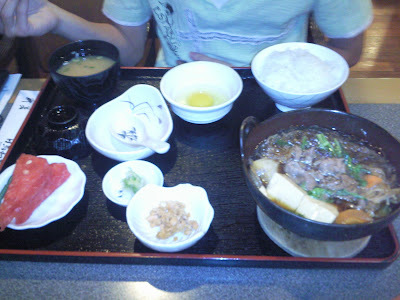 He handicap 6 pieces to all children and about 2 pieces to all adult. I lose to him unfortunately, his combination of all pieces is perfect, it will be unable to win him if you are not going on for an defensive castle. I tell my friend to go for a defensive castle, then he able to stablise his king and Mr. K K resign. He is still an amazing professional player. 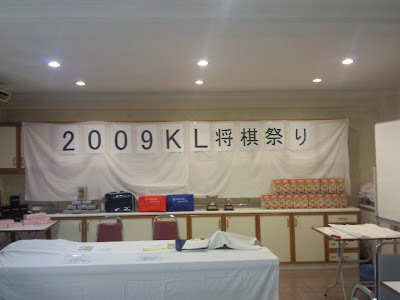 How old is Mr. K K in the picture? He is 52 years old. He look so young lol. 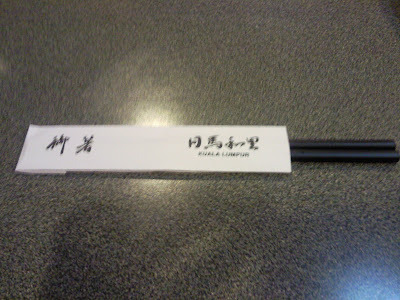 The only thing i quite regret is i forget to get the signature from him, lol. 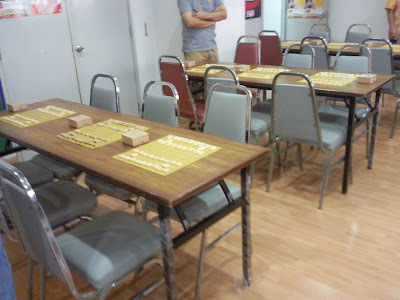 After this event, I will start to train hard on my shogi skill, to be able to go into the world of professional shogi world. 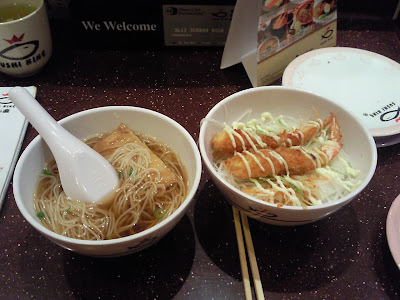 thanks for sharing so many photos in this post. There are few mistakes that you've made in your post. 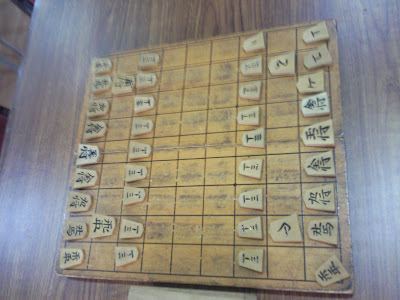 It is actually not an old style of Shogi writing. 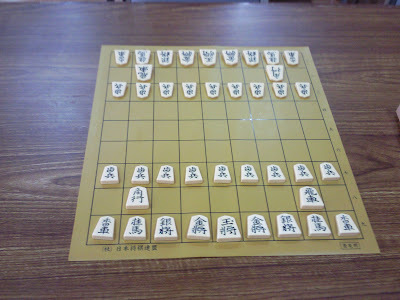 If you do your research properly, there are a lot of different kanji writings on Shogi. 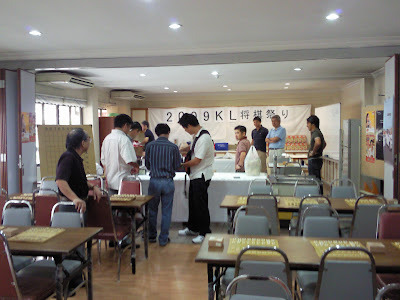 In fact, the last game between the KL Meijin and the champion was using the same Kanji writing pieces, but the pieces cost more than RM200! 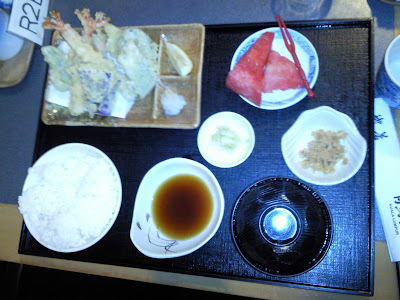 Mr. Yoshiki Nakai is not the president of Japan Club. 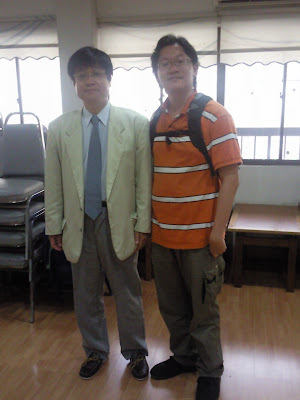 He is the president of the Shogi Club. 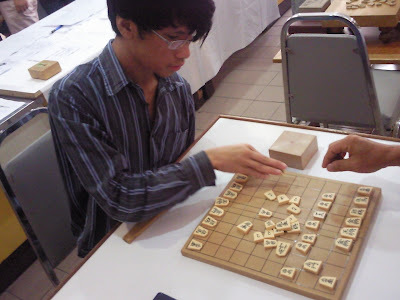 He is currently a 5-dan amateur and the current title holder of KL Meijin. 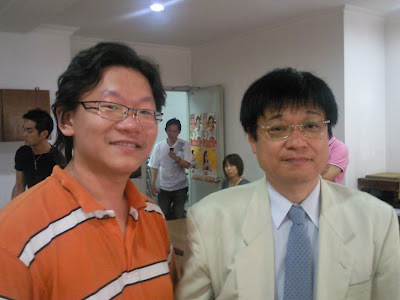 However I did read a few kifu of his so I know how well he can play against other professional Shogi players. 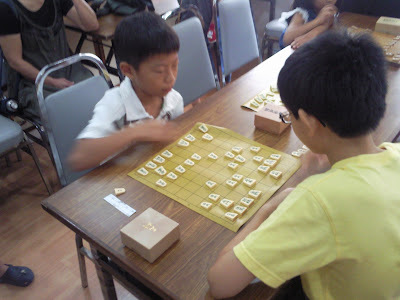 Since you said that you want to become a professional Shogi player, here is the link regarding the information becoming a professional Shogi player. 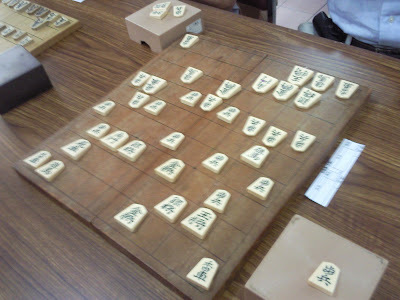 Keep in mind that you will have to compete with other strong players and after you have been accepted into Shoreikai, you MUST stay in Japan and play with other players to become a professional Shogi player (meaning you must become the best player out of all Shoreikai members). 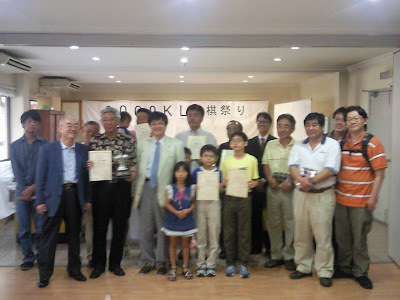 Only 1 or 2 Shoreikai players can become a professional Shogi player each year. 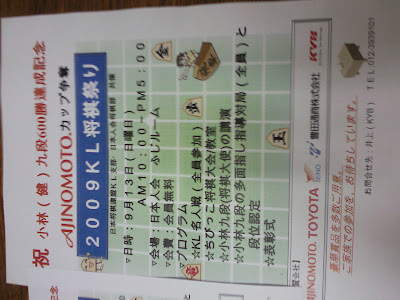 You do not earn any salary from Japan Shogi Association when you are only a Shoreikai member. 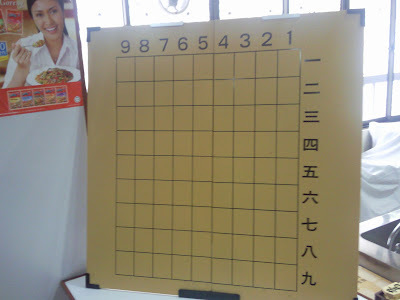 You will only start to receive your salary after you've become a professional Shogi player. Also, being a professional player means that you have to play all the games that Japan Shogi Association has asked you to. You are not allowed to have side-jobs, as being a professional Shogi player is a full-time job. 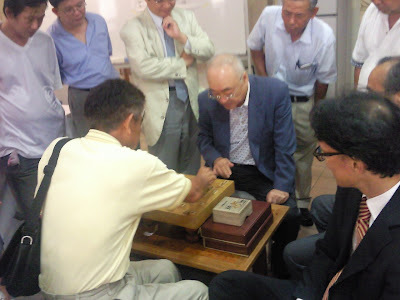 It is impossible to be a professional Shogi player as a part-time job and you are required to talk about Shogi 24/7. 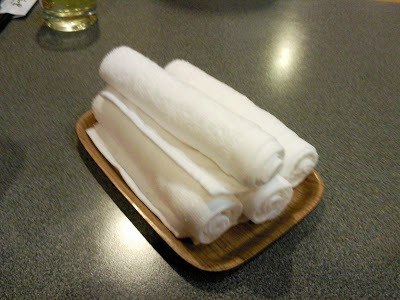 Also, you will have to find your own accomodations in Japan if you were to be accepted in Shoreikai. No one will sponsor you, definitely. 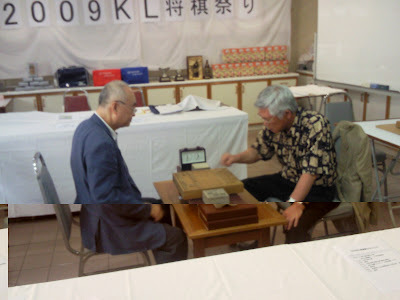 I really hope you would double-consider about becoming a professional Shogi player, as it is no laughing matter to simply say you want to become a professional Shogi player. On a side note, I apologise for not being able to talk to you much during the festival because I was in "tournament mode" and I only wish to think about 'Shogi strategies' only, nothing else. That's why I was trying to avoid talking about other stuffs, aside from strategies! And you should have played Shogi with the Japanese! You're wasting a golden opportunity to play with the Japanese, but instead you played with other Malaysian players, which is such a waste! 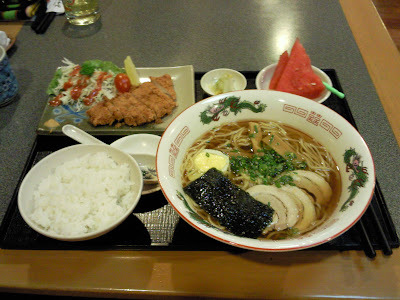 Oh, you don't have to register to become a member since you rarely come to Japan Club. 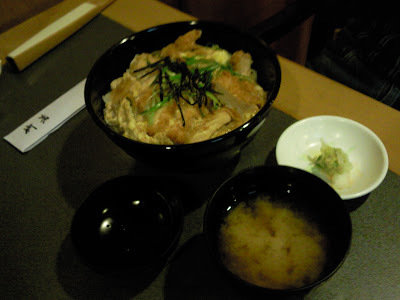 Anyways I wish you all the best in life and Shogi. Again, I would highly advise you to reconsider again about saying you want to become a professional Shogi player. 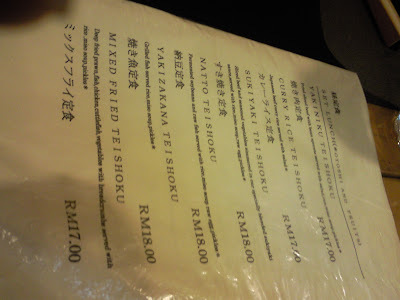 PS: It's Mr. Yeoh, not Heoh. 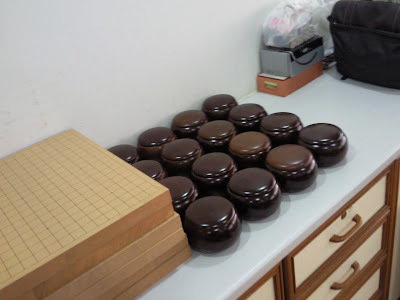 I've read Gekka no Kishi (Moonlight Kishi).It is true that if the players at Shoreikai did not become a professional player before the age of 24, they have to quit and will not have the chance to become a professional Shogi player. 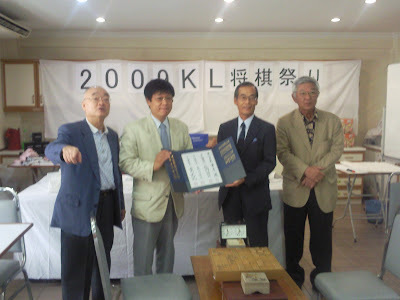 However, I've asked the Kunio Yonenaga, president of Japan Shogi Association, before that we foreigners have special condition so we do not have any age limit. And also please be aware that 4-dan amateur and 4-dan professional are two different things. So if you have achieve 4-dan, it doesn't mean that you're a professional player. 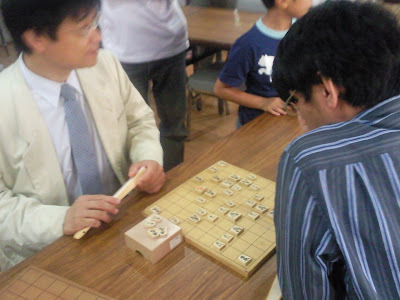 Just like Mr. Yoshiki Nakai, eventhough he is a 5-dan player, but he is not a professional player. 5-dan amateur and 5-dan professional have a huge strength gap between them. Same goes for 3-dan Shoreikai players and 3-dan amateur players. 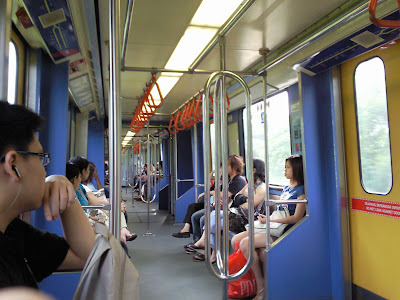 It is believe that 7 or 8-dan amateur has equal strength to 2-dan professional, and 5-dan amateur strength is equal to female (johyru) 5-dan professional. So every time you said a person's strength, you must say that he is either an amateur player or a professional player. 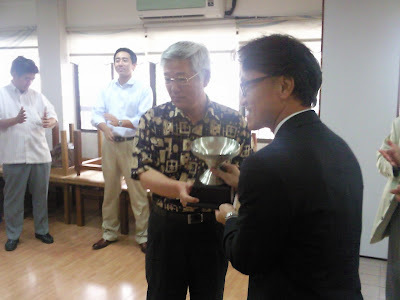 Mr. Kenji Kobayashi is a 9-dan pro, whereas Mr. Yoshiki Nakai is a 5-dan amateur. 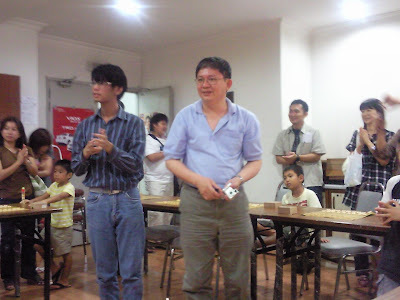 Since I have not become a professional player, obviously I am a 1-dan amateur player. Therefore you must be careful when you use the word 'professional'. The word 'professional' in the Shogi world carries a deep meaning and purpose, unlike what we said Counter-Strike pro, DotA pro etc. 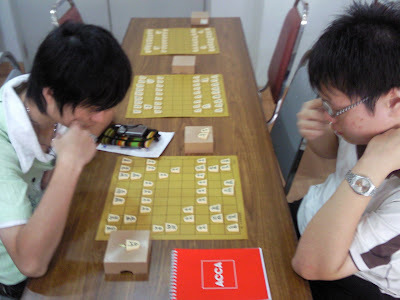 Therefore do not say to a Shogi player 'I want to become so pro like you' if he is not a professional player, since he is just an amateur player and again the strength between amateur and professional player (even if both has 6-dan) has a very huge strength difference. The 8 strong match challengers are decided during the preliminary round at 10.00 am. I've noticed that you've lost to Mr. Yeoh alot of times, so there's no chance for you at all to enter the 8 strong match, especially since Mr. Yeoh did not get chosen to join the 8 strong match. Again, I apologise that you do not get the chance to enter the match because I was told that only members can join by Mr. Yoshiki Nakai himself. Like Xin Wen has explained to everyone before, the Japan Club is something like a school, where the Japanese can held their club activities. 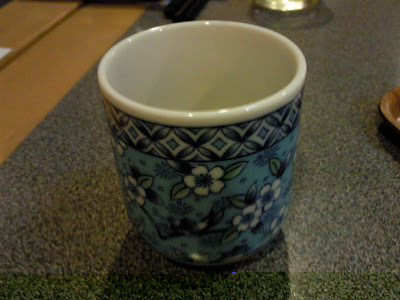 Therefore there's no point for you to come to Japan Club - we're only there to play chess. There are no class, no lessons and no one is going to teach you anything. We only just play against each other. 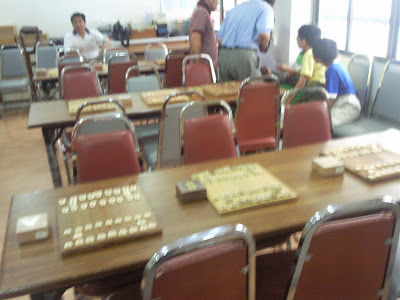 And the fact is, they never taught me how to play Shogi. 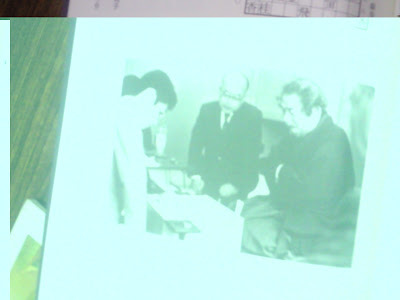 I myself am the one who taught myself how to play Shogi and improve my Shogi skills just by studying alone. No one in the club is going to discuss about strategies with you, nor anything about Shogi. 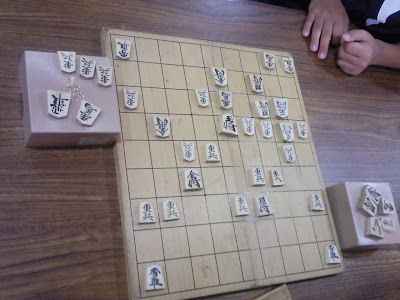 We are just simply playing Shogi just to have fun. 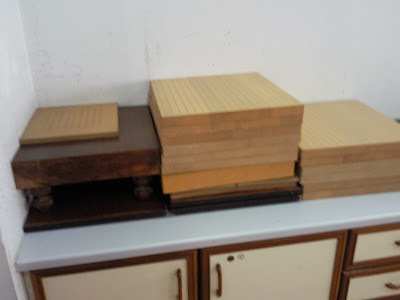 It's true that I will go to Japan Club every Saturday to play Shogi, but I always brought my own Shogi books to study as no-one is going to teach me anything. And again like I've said before, they are not pro so please do not call them pro. They won't like it if you call them pro.